Internet Providers in the UK control your access to file sharing websites and may throttle your internet connection or limit your bandwidth. VPN secures and encrypts your internet traffic and keeps it safe from prying eyes. If you travelling overseas, you cannot access favorite British channels, TV shows, BBC iPlayer and other media. 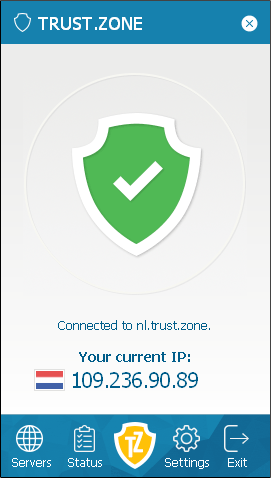 Trust.Zone VPN replaces your current IP address with IP address in the UK thus making it appear you are from the United Kingdom.